Denver’s first big freeze with snow could not keep fans form The Tattered Cover (2526 East Colfax) on November 11th to see Alan Doyle read from and talk about his new book “Where I Belong: Small Town to Great Big Sea.” Fans got a bonus when the ever entertaining and gregarious Doyle took the microphone from the podium and sang a song. After he read from his book, he signed anything fans wanted signed and took pictures with all who wanted one. “Funny, wise and self-deprecating, this book is hard to put down. As a founding member of Great Big Sea, Alan Doyle is widely recognized as one of contemporary music’s most gifted singer/songwriters. For over twenty years, Great Big Sea has taken its unique blend of rock, folk and Celtic music from the shores of Newfoundland to the far corners of the world. During that time, the band has amassed a string of gold and platinum albums, while its high-energy live shows have earned legions of devoted fans across Canada and around the globe. “I am from Newfoundland,” says Alan Doyle. “Therefore, I am a bit of a storyteller. The stories of Newfoundlanders are often confused with fairy tales and the stuff of fiction; the people, places and events in them seem exaggerated or outright weird…. [but] truth really is stranger than fiction.” This fall, Alan Doyle takes readers behind the music for a nostalgic and revealing look back at the great adventure that was his childhood. 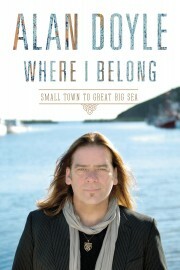 On October 20, 2014, Doubleday Canada is proud to publish WHERE I BELONG: From Small Town to Great Big Sea. “When I was a boy, I had no idea. About many things. I knew a few facts, here and there, but I was absolutely sure about very little. I had more questions than answers. I was more curious than certain.” So begins Alan Doyle’s heartfelt coming-of-age memoir. A Newfoundlander, a Catholic (and an altar boy), a lover of music from an early age, and a lone Montreal Canadiens fan in a household devoted to Gordie Howe and the Detroit Red Wings, Alan was a “Petty Harbour dog, through and through.” Located south of St. John’s, Alan’s hometown of Petty Harbour was once a thriving fishing village of approximately 500 inhabitants. It was the kind of place where a “young fella could go weeks without seeing or meeting a person that he hadn’t known for his whole life.” Against this backdrop, Doyle grows up, buoyed by a larger-than-life assortment of family members, friends and neighbours, all of whom contribute to creating a young songwriter and world-class performer-in-the-making. Doyle’s tremendous gifts as a storyteller recreate a bygone era in Newfoundland’s history. Readers will stalk the wharfs with Alan and his pals as they traffic cod tongues to tourists and to local restaurants, enjoy “out-of-oil parties” where all partygoers congregate in one room to keep it warm when there’s not enough money for heat, and go on death-defying excursions deep into a treacherous gorge in pursuit of abandoned adult magazines. At its heart, WHERE I BELONG is the story of a young boy of insatiable curiosity who is searching for answers to life’s big questions: What does it mean to be Canadian when you are isolated in the middle of the ocean? Is there a God? And, most importantly, how will I ever get a girl to kiss me? A generous and touching look at the trials and tribulations of growing up, WHERE I BELONG is a wonderful debut work of non-fiction from a master storyteller and a remarkable Canadian talent. November 11 2014 7:00 pm Admission is free. EDITORS NOTE: ALAN WILL ALSO ANNOUNCE DENVER CONCERT DATE! Dia daoibh a chairde Gaeil! Is mise Síne Nic an Ailí, is as Baile Átha Cliath mé, agus is mór agam an deis a bheith anseo in Missoula, Montana ag teagasc Gaeilge don bhliain. My name is Síne Nic an Ailí and I hail from Dublin, Ireland. Coming from the capital and a non-Irish-speaking family, I’m not what one might consider a traditional Irish speaker. 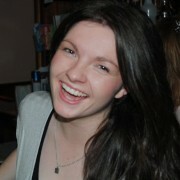 But Irish has always guided me and brought me into contact with wonderful people and the most fantastic opportunities. This includes everything I’ve encountered in my experience of America so far and in return, I hope to bring my love for the language to Montana this year. I was totally immersed and educated through the medium of Irish at primary and secondary level, and graduated with a First Class Honours in Irish Studies with Spanish from the University of Limerick in 2007. I worked for six years as a Development Executive with Conradh na Gaeilge, the Irish-language advocacy organisation, and during that time, I was a founding member, presenter and manager of Raidió Rí-Rá, Ireland’s only Irish-language chart radio station; and was also involved in Na Gaeil Óga CLG, a young GAA football and hurling club run completely through Irish. Last year I undertook a diploma in teaching Irish to adults, renewed my passion for helping others to learn Irish, and started teaching night classes in Dublin. Having also grown up in Galway, Belfast and Mayo before moving to Limerick and Barcelona to study, I love travelling to meet new people and explore new places. Teaching Irish as part of the Fulbright FLTA Program through the University of Montana has given me my next big adventure abroad. I’m very grateful to the University of Montana, the Friends of Irish Studies in the West, and the Fulbright Commission for this opportunity. Go raibh míle maith agaibh! This is another call to all you Irish Scribes out there: It’s time to start writing your story. 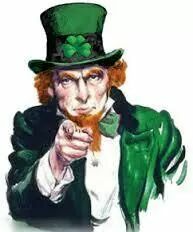 Each and every one of you has a story to tell about growing up Irish in America. What does Irish mean to you? What is your sense of it? How do you express it? Tell us the songs, the stories, the poems of your people. We want to have this material so that others will come to know, understand and appreciate the Irish of America. You are part of this community and your story is extremely valuable to us. Don’t use the excuse that you can’t write; you are Irish and the Irish are the great writers of the world! So, pick up the pen and start writing because the deadline is drawing near. We want to have all submissions in by December 31 so we can begin to compile our anthology. For more information, go to mtirishgathering.org or call Bob at 406-531-3045. The Irish of Montana lost two dear friends over the past two months. Kevin Shannon and Pat Kearney were true sons of Butte, embodied the spirit of that great town and loved their Irish heritage. Both were custodians of the culture and did heroic work to pass it on to the next generation. It was a privilege to have known these splendid and gallant Gaels. We pray for the repose of their souls and the comfort of their families, and leave them with a traditional Irish farewell – I gcomhluadar na bhFiann go raibh siad. The University of Montana’s Grizzlies’ Hurling Club travel to San Francisco on Friday, November 7th to compete in the California College GAA Sevens tournament. The competition will take place in Palo Alto and will comprise college and club teams. The involvement of the club teams will make this a very tough competition. Most of the club players are from Ireland and have being playing all their lives. They are also mostly construction workers who seem to take particular delight in dispensing corporal punishment during a game. So this competition will be very physical and tough. There are going to be a lot of hurleys broken and our young stars will earn their stripes in Palo Alto. Go n-éirí libh. The life blood of our organization is our membership. It is because of you that we can accomplish so much to promote and preserve our Irish culture and heritage. We are currently engaged in a membership drive with the intention of increasing our membership to 1,000 by the end of the year. The response to this drive has surpassed our expectations, but we still have a ways to go. If you are not a member, please consider joining. I would also ask you to invite others you may know to become part of our group. You can do this by printing out and sending in the form at the back of this newsletter. 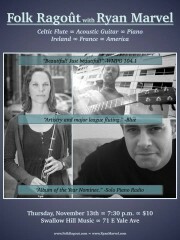 You can also join online by going to www.friendsofirishstudies.com . Go raibh mile maith agaibh uile. My aunt Mary Keane was born in Ireland and immigrated to America in her late teens. She met and married my uncle Richard about ten years later and they settled in southern New England. Growing up I had occasional contact with them, mostly at family get–togethers around the holidays. Other than being family I don’t remember that we had much in common then. Mary was quiet and a bit shy. She always seemed slightly out of place although quick to laugh at a good joke or story. In my twenties I took my first trip to Ireland and at the next family gathering I found myself talking at length to Aunt Mary about my trip. She was very interested to hear all the details. Talking about Ireland really opened her up and brought her to life. I remember tears in her eyes as she told me a bit about her growing up in Ireland and having to leave because, at that time, there was little opportunity for women. She missed Ireland and her family tremendously. But we had formed a bond with Ireland as the connection. Soon after that first trip to Ireland, and enthralled with traditional Irish music, I took up the fiddle. Mary heard about this and called me with enthusiastic words of encouragement. She mentioned that her brother Frank lived in County Mayo and played the fiddle himself and that I should visit Frank and his wife Winnie the next time I was over. So sweet! As my fiddle playing progressed I eventually found myself playing in a traditional Irish band called the Greencastle Band. We played throughout New England and even released a couple of records on the Blarnytone label (that’s right!). We got gigs even when it wasn’t St. Patrick’s Day – very rare at that time. Mary and Richard became our biggest fans. They would show up regularly at performances and Mary would always find some space to dance a jig or reel. She knew what she was doing and the audiences loved it. It was always great fun. Mary was the “real deal”! I remember a performance we had at a park in southern New England opening for a Fourth of July fireworks display- (we had an agent who got us some unusual gigs!). We got there hours early to set up the sound system and have time to get a bite to eat. Placed dead center in front of the stage in this large open field were two vacant lawn chairs. 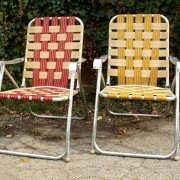 Nobody around, just two vacant chairs. Someone made the comment, not seriously, that it was probably Mary and Richard. We all had a chuckle. But sure enough when we came out for our part of the show there were Mary and Richard seated in the lawn chairs with big smiles on their faces. We opened with a set of jigs (“Tripping up the Stairs” if I remember correctly). Mary got up and danced and many in the audience took her cue. What fun we had! The fireworks were the grand finale for a wonderful evening. It brings tears to my eyes as I think back to those times. Sadly both Mary and Richard have passed but the Irish connection we had brought us all together for a while. What wonderful memories! I did get to visit Frank and Winnie in Mayo but those words will have to wait for another time. Folk Ragoût is an exciting and original duo, comprised of American flutist Leslie Anne Harrison and French singer and guitarist Frédéric Pouille. With their great love for the traditional Celtic music of France and French Canada, Folk Ragoût’s performances are unique, beautiful, and virtuosic. Leslie Anne Harrison, a local of Denver, has performed around the world with such artists as the Metro Chamber Orchestra, the Combo Nuevo Orchestra, members of the Silk Road Project, and New York City’s Public Theater. She is a featured artist on multiple albums and has made guest appearances on numerous recording projects, one of which was nominated for a Drama Desk Award in 2009. Harrison is on the music faculty at Swallow Hill Music and she routinely performs and teaches throughout Colorado, Wyoming, and Utah. Born in Paris, Frédéric Pouille is a specialist of modern finger-picking guitar and DADGAD, and his innovative accompaniments draw from jazz, folk, traditional, and world music. He is an expert in Irish and Breton music and he has given workshops and performed across Europe and America. He has also collaborated on many recording projects and is currently producing his own solo guitar album. In addition to being a musician, Pouille holds a PhD in Neuroscience and has been involved in academic research around the world. His publications can be found in Science and Nature. A native of Colorado, pianist Ryan Marvel studied with the late Patricia Weaver. He has released three solo and collaborative albums, the second of which was nominated for Album of the Year by SoloPiano.com and Whisperings Piano Radio. A talented composer and arranger, Marvel works with choirs, songwriters, and instrumentalists. He has performed across Colorado, California, and Arizona, and has been a featured soloist with the Front Range Chamber Players. He is currently Director of Music and Choirs at Foothills Unitarian Church in Fort Collins, Colorado.